We are best known for our flexible design approach and we can create a building to suit your exact requirements. Please get in touch if you would like some advice on 01666 330182/822234 or email info@madeinoak.com if you already have plans or a sketch idea of what you need and we can quote. 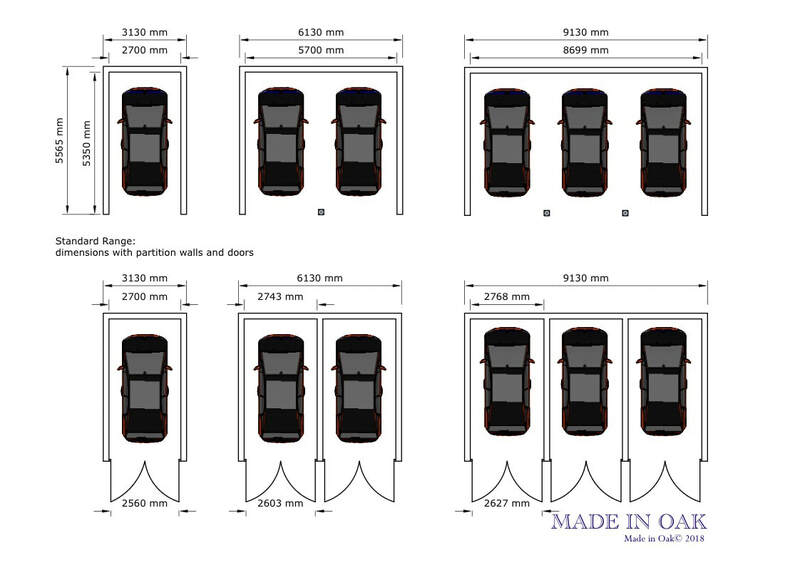 As well as bespoke designs we have created a range of sensibly sized garages using a bay system of one, two and three bays, or more as required, which differ in width and depth depending on the design you prefer. 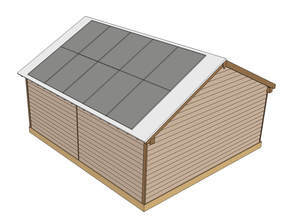 All have options to add partition walls, garage doors, and lean-to log stores. We also give you four different, high quality cladding options based on larch or oak in either waney or feather edged profiles. All are low maintenance and do not require any harsh chemical treatment because they are naturally durable timbers. Feather edged Larch cladding has a life of approximately 30 years; Oak around 60 years. 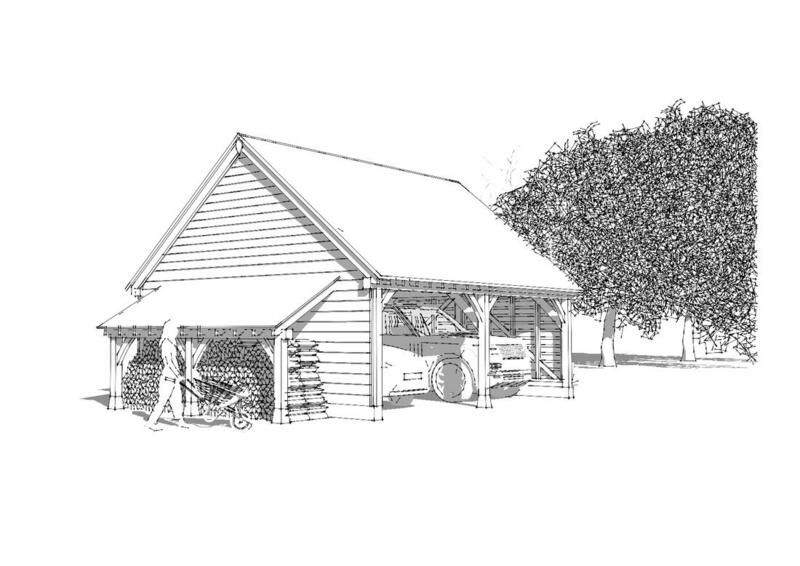 Our garages are high quality buildings and feature an oak frame throughout the structure including oak sole plates, not just an oak frontage with the rest of the building in softwood. 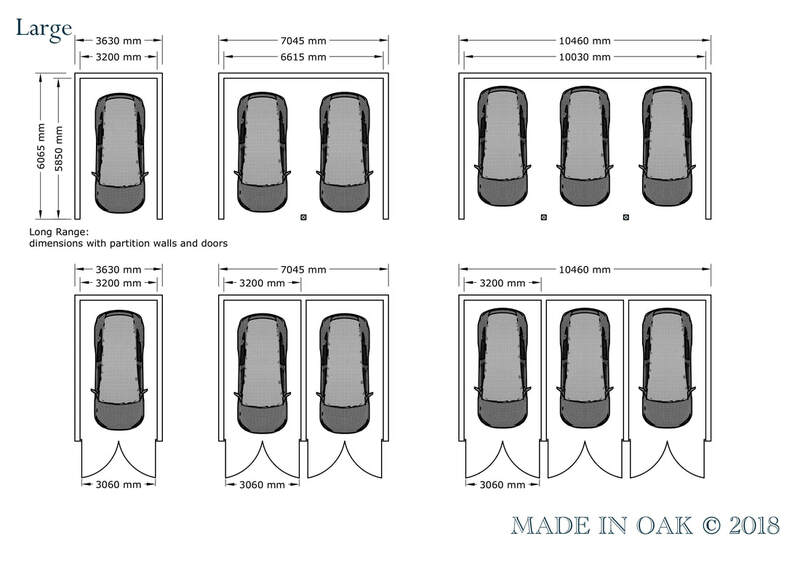 We have created 3 sizes to choose from: Standard, Medium & Large as one, two, three or more bays in length. 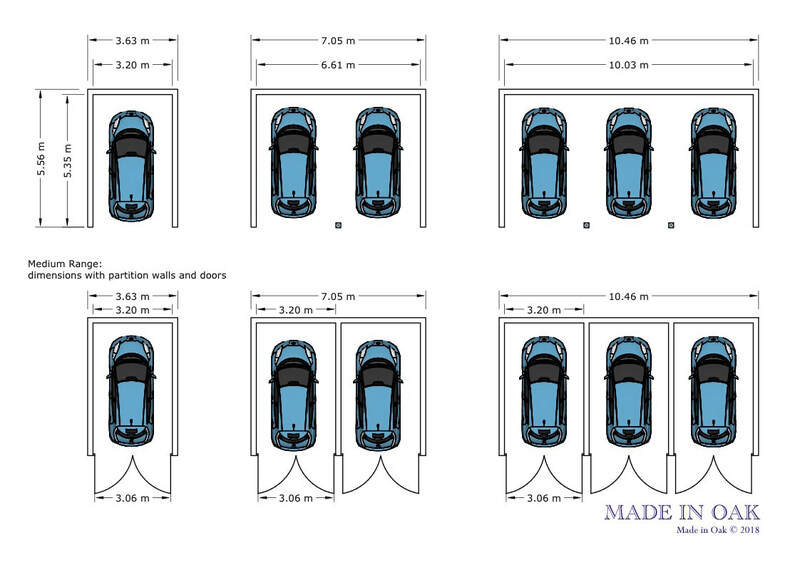 ..and Large garages are half a metre deeper than Standard and Medium sizes.